available Glider Gloves ingress ingress edition Ingress Edition Glider Gloves now available! Ingress Edition Glider Gloves now available! As we discussed the other day, the temperature sure is dropping in some parts of the great white north. That means finding a good pair of conductive gloves might be in your future. 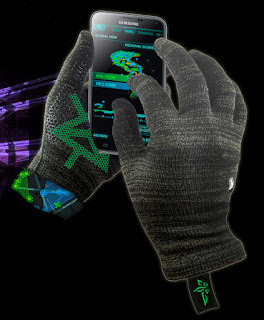 We here at Android Coliseum sure have liked our Glider Gloves in the past, and now they've just released their long awaited Ingress Editions. So, for $5 over their normal Winter editions (looking at $35USD) you can have a pair with your faction logo (well, it's not REALLY the faction logo, just the Ingress triangle in the colour of your faction) on the inside palm and then have a faction logo on your tag.